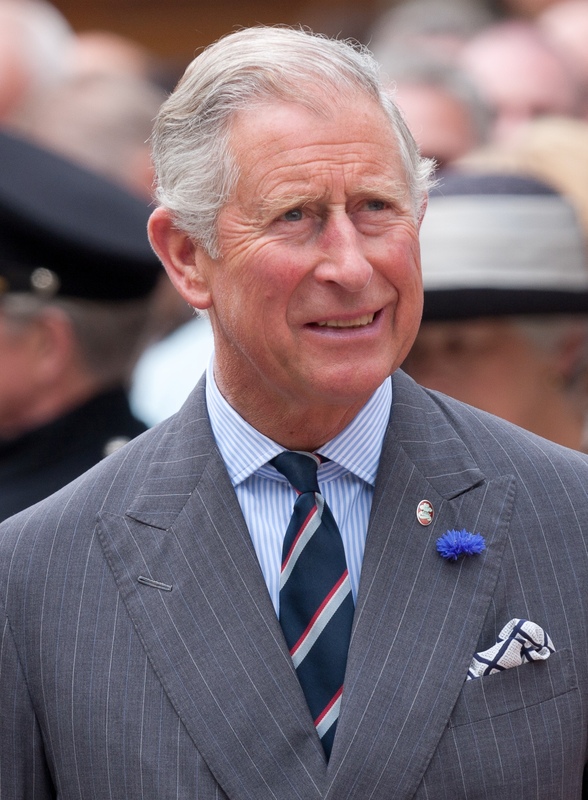 Charles Philip Arthur George Windsor, Prince of Wales was born 14 November 1948 at Buckingham Palace in Westminster, Greater London, England, United Kingdom to Philip, Duke of Edinburgh (1921) and Elizabeth II of the United Kingdom (1926) . He married Diana Frances Spencer, Princess of Wales (1961-1997) 1 July 1981 at St Paul's Cathedral in London, Greater London, England, United Kingdom. He married Camilla Rosemary Shand (1947) 1 April 2005 in Windsor Guildhall, Windsor, Berkshire, England, United Kingdom. Notable ancestors include Charlemagne (747-814), Alfred the Great (849-899), Henry II of England (1133-1189), William I of England (1027-1087), Hugh Capet (c940-996), Gustav I of Sweden (1496-1560), Robert I of Scotland (1274-1329), Willem van Oranje (1533-1584), Johan Willem Friso van Nassau-Dietz (1687-1711). Ancestors are from Greece, the United Kingdom, Denmark, Russia, Germany, Poland, France, Sweden, Scotland, England, Belgium, Spain, the Czech Republic, Hungary, the Netherlands, Austria, Switzerland, Lithuania, Belarus, Ukraine, Latvia, Bohemia, Italy, Portugal, Slovakia, Slovenia, Israel, Croatia, Romania, Ireland, Turkey, the Byzantine Empire.